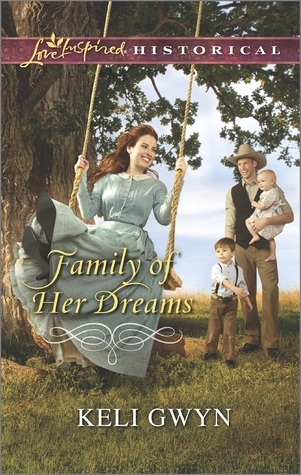 I enjoyed reading Family of Her Dreams and I loved the California gold-rush small town historical setting. Tess is a complex and likeable character. Abandoned by her father and raised in an orphanage, she hasn’t had an easy life. She loves caring for children and has worked hard to attain a good housekeeping position. Her long held dream and prayer is to have a husband and family of her own. Spencer is recovering from the loss of his wife and he needs a housekeeper to care for his young children. His baby daughter, Lila, is adorable, and his four year old, Luke, is struggling to deal with the tragic loss of their mother. Tess loves the children as if they were her own. During the story she develops feelings for their handsome father and she dares not to hope that she can one day become a permanent part of their family. Spencer warms to his housekeeper, who is also a brilliant cook, and they share a sweet romance with tender moments. I really liked the secret in the story, and how the resolution of the secret provided a romantic and satisfying ending. I recommend Family of Her Dreams for readers who enjoy sweet historical inspirational romances. Family of Her Dreams is Keli Gwyn’s debut book with the Love Inspired Historical line, and I won a complimentary copy in a giveaway.